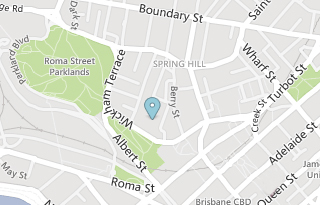 Brisbane Hand and Upper Limb Clinic is located on Level 9 of the Brisbane Private Hospital Specialist Centre. The Specialist Centre is located at the back of the hospital. If you enter from the Brisbane Private Hospital Carpark you can take the lift directly to Level 9. If you enter from the Main Entrance (off Wickham Tce), proceed to the lifts at the back of the hospital. You enter the Specialist Centre on Level 6. Take the lift to Level 9. Take the Wickham Terrace Exit out of the train station. Once on Wickham Tce, cross over Edward St and continue up Wickham Tce. Brisbane Private Hospital is on the right hand side of the road. Turn left onto Edward St. Cross over Adelaide St and continue on Edward St. Turn left onto Wickham Terrace (at the IBM building). Brisbane Private Hospital is on the right hand side of the road.